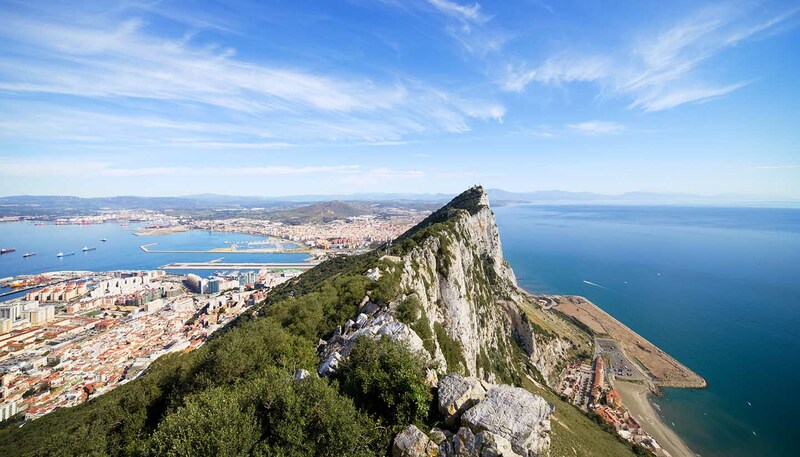 Gibraltar derives its name from Gibel Tariq (Tariq's Mountain), which is named after Tariq Ibn Zeyad who led the eighth-century conquest of Spain by a combined force of Arabs and Berbers crossing from Africa. he presence of a foreign-owned mini-state on the Spanish mainland has been an irritant to Anglo-Spanish relations ever since. The Spanish dictator, General Franco, launched a campaign in 1963 through the United Nations to reclaim Gibraltar, adding to the pressure by closing the border and severing telephone links. Since the death of Franco in 1975 and the return of democracy to Spain, relations between London and Madrid have improved immensely in every area - except Gibraltar. The current Spanish position was first outlined by Felipe González, Spain's Socialist premier during the 1980s, when he suggested joint Anglo-Spanish sovereignty. Successive Spanish governments, including the present Zapatero administration, have since refined the proposals, allowing for possible EU or NATO involvement. The British have no major objection, in principle, to the Spanish recovering full sovereignty over the territory - provided they are guaranteed continued access to its military base facilities. The problem is that the Gibraltarians are having none of it: no handover; no joint sovereignty; no Spanish involvement whatsoever. Domestic politics in Gibraltar are dominated by two main blocs, the ruling centre-right Social Democrats and the opposition alliance of the Socialist Labour Party and the Liberal Party. The Social Democrats formed the present government after their victory under the leadership of Peter Caruana, who was re-elected as Prime Minister for a fourth term at the most recent poll in 2007. On the issue of sovereignty, there are some differences in emphasis, but no essential difference between the basic positions of any of the three parties. Roman Catholic majority, also Church of England, Church of Scotland, Jewish, Hindu and other minorities. Gibraltar is a strongly traditional society with an attractive blend of British and Mediterranean customs. English is the official language. Most Gibraltarians are bilingual in English and Spanish.